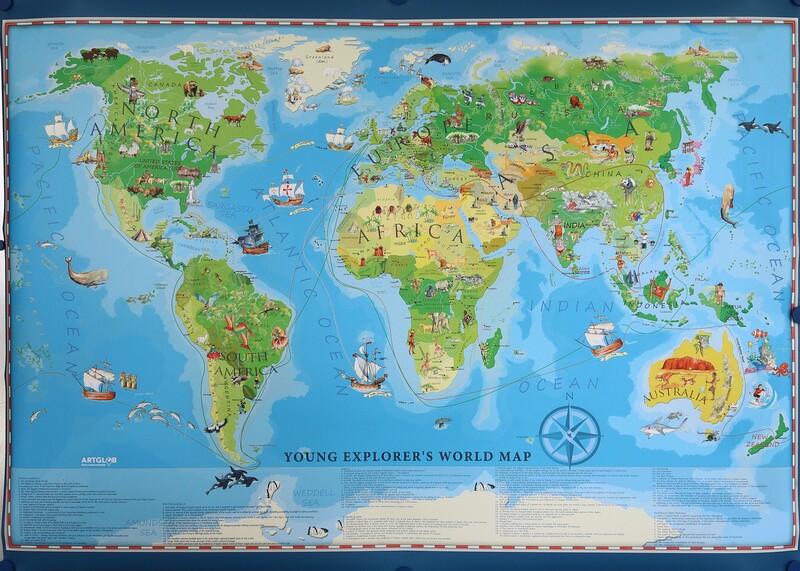 A geographical wall map of the world for children, designed by ARTGLOB, a Polish publisher. The map is suitable for educational and decorative use. This map develops imagination, encourages to gain knowledge and inspires. It is also a great opportunity for parents and children to spend time together in a creative way. Quality and aesthetics of workmanship make it an extraordinary decoration for the children's room.